This book may be simple with the most adorable illustrations, but it truly speaks to me as a writer and has touched my heart. It truly deserves the award it received. Despite the fancy little gold sticker on the front, I didn’t really think much of it when I first saw it. I remember I was in Leavenworth at the time–a town where I usually spend my time gawking at things in their all-year-round Christmas shops, not looking for any books (shocking, I know). I found it in the strangest place; I don’t remember exactly, but I’m almost positive I was in some perfume shop with my mom when I found it. Or maybe it was fancy olive oils. I don’t know, but it sat on a little table in the middle of the room, all by itself. It’s not a long book. It’s the perfect sized picture book to read to your kids at night before bed, and the pictures in it are truly enough to keep them engaged. I read it right then and there, and though usually if I had just read a book beforehand, I won’t buy it, but I knew I had to have this book. I had only read it once, and already, it was special to me. The story asks a vital question that all of us confront in our lives; what do you do with an idea? When I read this book, I couldn’t help but relate it to my own personal experience as a writer. I don’t think there’s a single writer (or any job for that matter) that can think of the whole idea for a story or an illustration immediately. My ideas for a novel usually come piece by piece, not altogether at once. Even with the novel I have out right now, it took me a good while to figure out the plot. I had all my characters, but in my very first draft of The Amazing Imagination Machine, it felt like they were all running around aimlessly in this weird, suburban setting I had created. 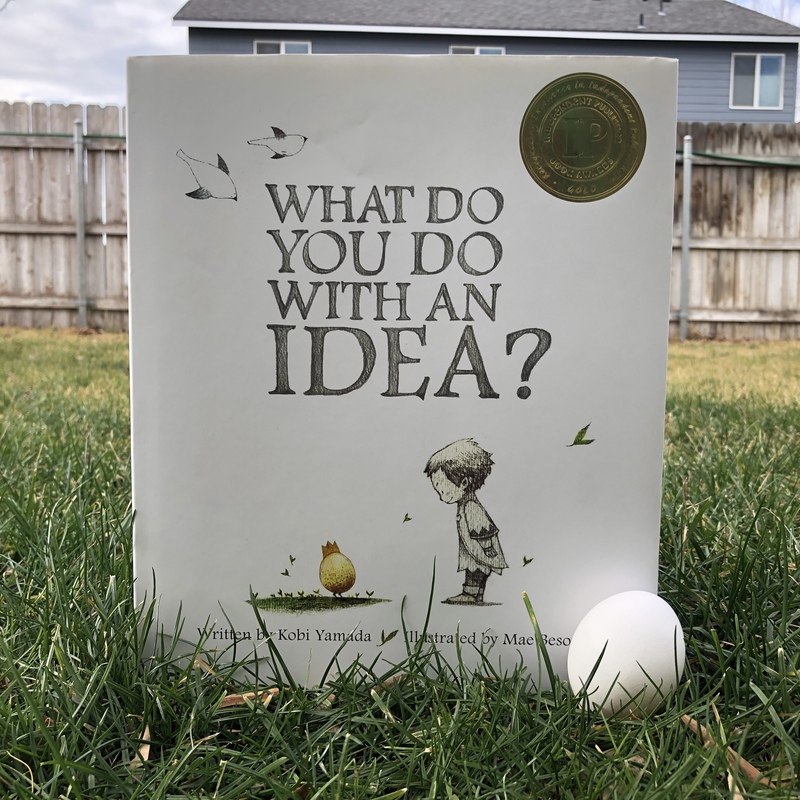 Tagged with: #childrensbook, #compendiumkids, #independentpublishingbookaward, #kobiyamada, #maebesom, #Whatdoyoudowithanidea?